It's not just pagers that are getting rebooted for the smartphone era. 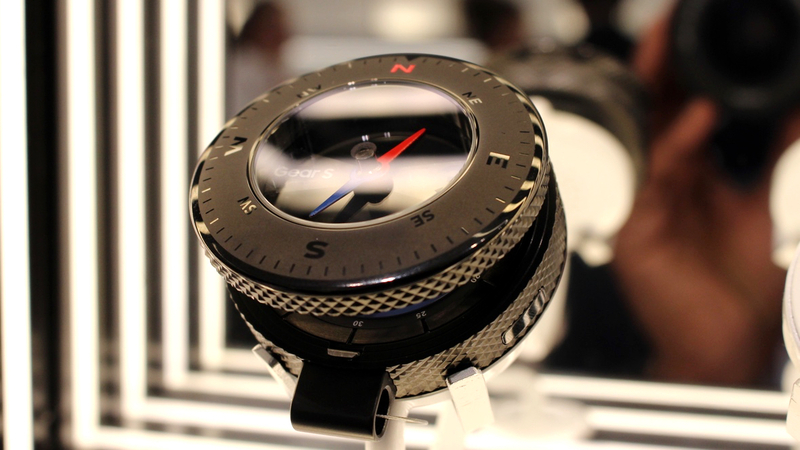 At Baselworld 2017, among the gamut of Android Wear smartwatches and hybrids, Samsung unveiled a handful of concepts including a smart pocket watch. Why? Because it can. The company is bringing the 16th century back in style, with the pocket watch showing an analogue movement on the front, but a Gear S3 display on the inside when you flip open the top. Chances are we won't see this move beyond the concept stage, and we're conflicted about that; we like the novelty, but does it have a practical place between the smartwatch and phone? Probably not. Does this even class as a wearable? Search us. Samsung's second idea is a hybrid version of its Gear S3 smartwatch. This similarly uses a Swiss-made movement, but with no digital displays in sight. While it will also likely stay in concept limbo, it's not absurd to think Samsung might try its hand at a proper hybrid before long. Finally, there are some new takes on the Gear S3 that keep the digital display intact. The tech inside remains the same, but Samsung's changed the shape of the design and the bezel. It's also come up with some new materials and finished for the existing S3 design, but again, you probably won't be able to buy them. All of the hybrids are the fruit of a partnership between Samsung and Swiss luxury designer Yvan Arpa. If anything, this is just Samsung demonstrating that it's taking this wearable stuff dead seriously. And who are we to argue with that?